I recently wrote a post “LinkedIn Announces Major Desktop Redesign” regarding the impending roll out of their total update and redesign. When LinkedIn announces changes to the platform such as this the one thing they never do is tell you what day, week or even month the change will occur. You will simply login one day and notice the changes. I recommend you protect your data now before LinkedIn’s redesign rolls out because you will lose some features that may be important to you. Here are a few steps I would recommend you take now to save your data. 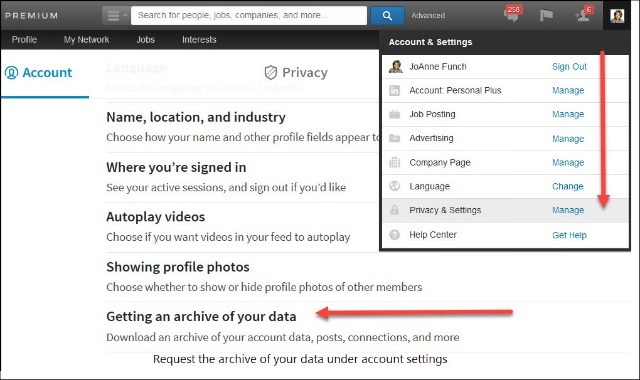 Step 2 – Locate “Getting an archive of your data” and click on Change. 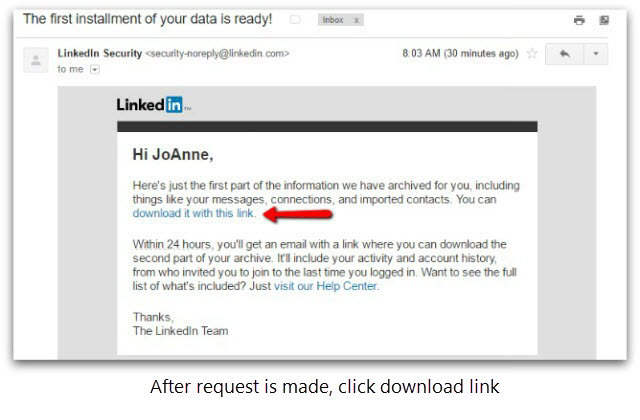 You will receive an email message from LinkedIn which indicates they have compiled the archive of your records. Click on the ‘download it with this link. 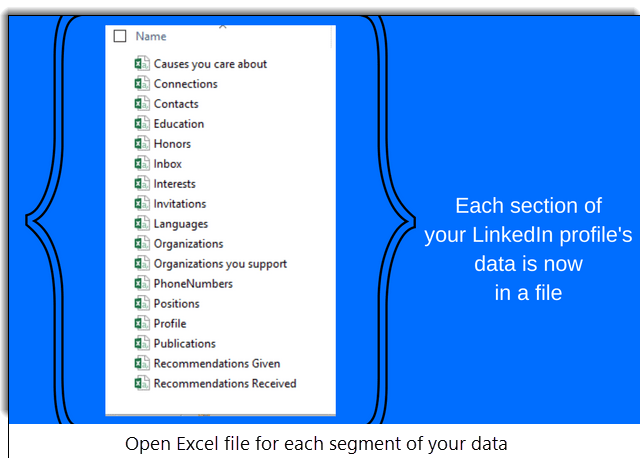 Step 3 – you receive an Excel document with all your data. All your connections are listed by the First name, Last name, Email address, any notes you have in their profile and the folders you may have tagged them in. 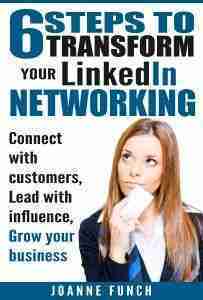 You also receive all the data in your own profile so should LinkedIn experience a data loss or decide to change the rules you will have a record of your key data such as your recommendations and endorsements. I think it is a good idea to save either a screenshot of your current profile for content and layout. Take screenshots of each section and save it simply in a word document so when the change occurs you will know what you had versus what you now have. You can also download your profile as a PDF directly from your profile. Step 1 – Click on ‘Profile’ from the black navigation bar. 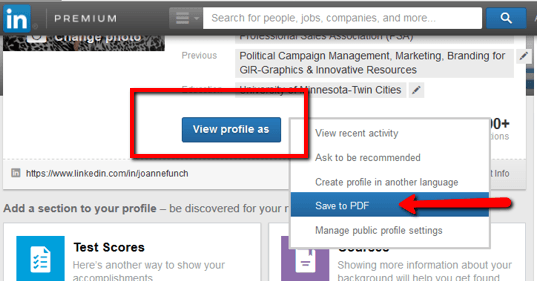 The click the down arrow on the blue button ‘View profile as’ and select ‘Save to PDF’ which you can then save. Be aware that the PDF only pulls the text in your profile sections, it does not pull any images. However, you can benefit by having all the text should you lose anything or can’t remember details of your profile. If you have a company page on LinkedIn, you may want to screenshot the current page including any showcase pages due to the impending rollout of the new LinkedIn company page redesign I wrote about which followed LinkedIn’s announcement of the personal profile update. Having a back- up of your data is no different than backing up your computer’s data. When design changes occur, you have a way to view the before and after effects. (You can also simply print out your company page from your internet browser and save it this way). If you have a premium sales navigator account you shouldn’t notice any changes, however, if you have been using the notes section of a contact profile and the tagging feature you may want to transfer those into your sales navigator because this feature may be going away also during the profile redesign. Here are some additional tips from what I have learned is coming with the new redesign. I’m sharing this so you have some notice of things you may want to change now. •You can no longer change the order of your experience sections, so if you want to move the order of a position I would do it now. •Recommendations can now be moved from one experience section to another, well this will no longer be an option, nor can they be edited. Now would be a great time to get your recommendations updated and in the proper placement before you lose that option. •Advanced search tab will be gone, so those without a premium subscription will now be limited. Your saved searches will also be gone, so if this is important to you I recommend you search and save now. For additional questions, you can always access LinkedIn’s help center by searching your topic question. We do not know what will happen following the pending acquisition of LinkedIn by Microsoft in terms of design or functionality so hang on – more changes to come. I expect there will be many, many more updates to come in the new year. If you are not signed up to receive my email updates, click the button. I will keep you posted on every change and how they will affect you! Great tips Joanne, would be very bummed to lose all that information, greatly appreciate preserving my investment in the platform. Nancy, I love your choice of language because it is an investment in time. Thanks for sharing your comment.